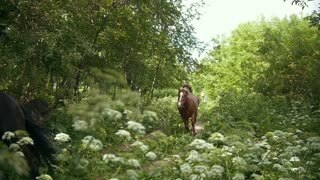 Walking and running horse. 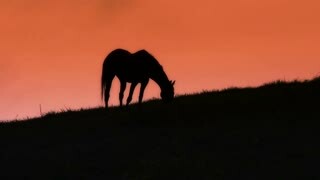 Horses moves slowly against the background of the grazing herd. Herd of horses running on the steppes in background snow-capped mountain. Slow Motion at rate of 180 fps. Running herd of horses. Horizon and light sky. On the way to dream. Harmony and beauty. 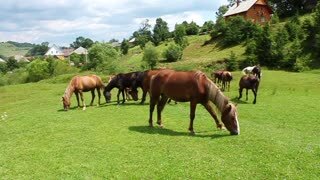 Beautiful view of the herd of horses grazing on the field, eating the grass. 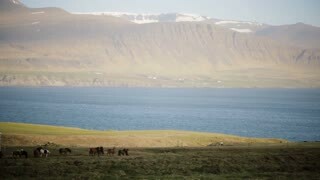 Wild Icelandic horses on the nature. 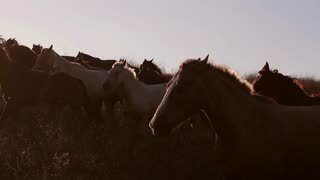 Spectacular golden sunlight illuminates a herd of horses grazing in a pasture.